This shooter glass holds 1.5 oz. and is designed with a bottle top in the base. Perfect for promoting restaurants, festivals, and breweries. 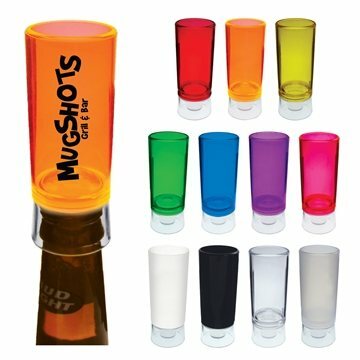 Personalize this shooter with your company name to solidify the presence of your brand. Very good company to do business with. Thank you Love the logo on it. Nice size and they appear very durable. Very affordable cost as well as top quality... will certainly order with this company again!!! Customer support was excellent..and very helpful!